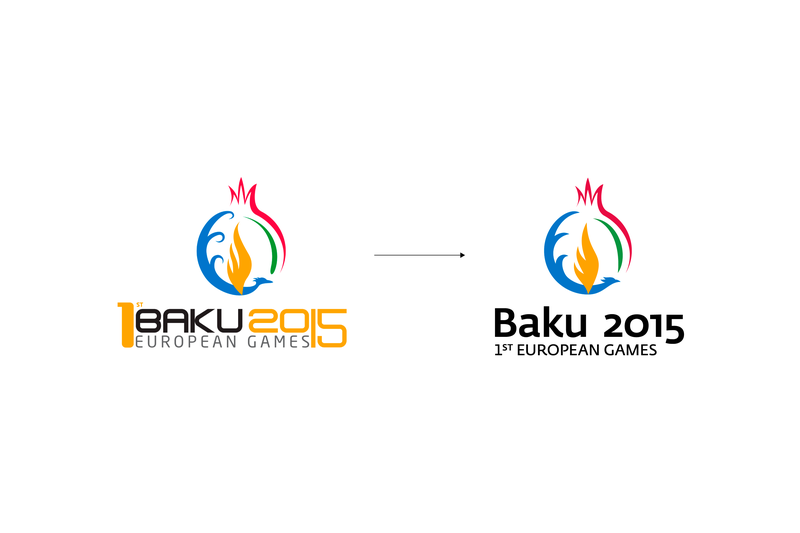 Baku 2015 was the inaugural edition of the European Games, an international multi-sport event for athletes representing the National Olympic Committees of the European Olympic Committees. 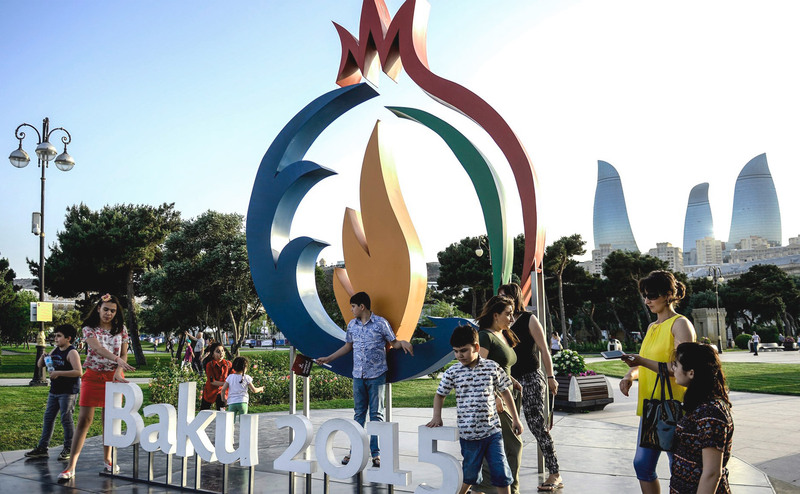 It took place in Baku, Azerbaijan, from 12 to 28 June 2015 and featured almost 6,000 athletes from 50 countries competing in 20 sports. The London-based agency SomeOne was responsible for delivering the event’s identity, and I helped them by designing an updated version of the event’s logo and other identity applications. 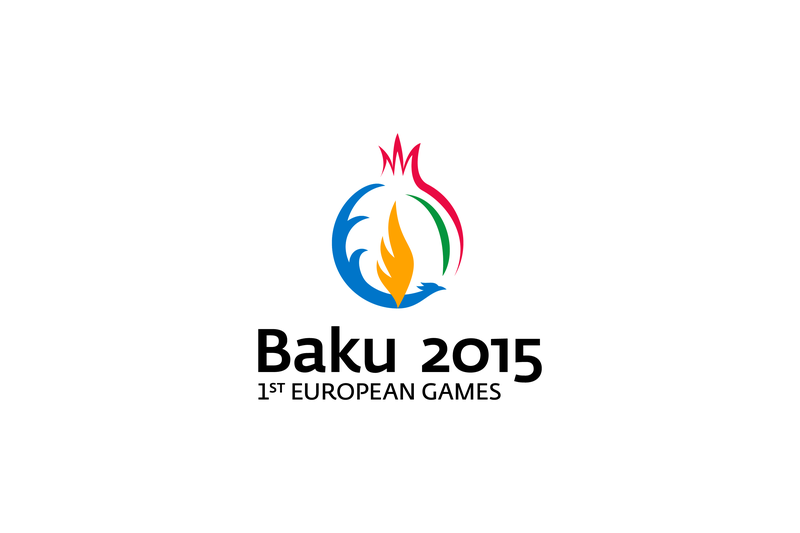 The event already had a rough logo (shown below), which incorporated many national symbols: a pomegranate, originally from Azerbaijan (red), waves representing the Caspian Sea (blue), a simurgh (mythical Persian bird – also in blue), flames representing oil fields (yellow) and traditional carpets (green). 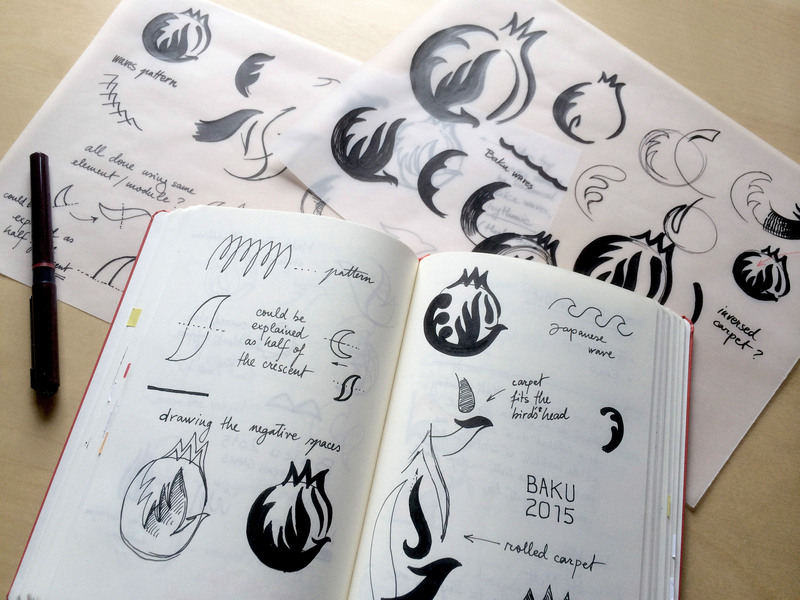 The challenge was to redraw the logo for better impact and visibility both in small and large sizes, while keeping all its symbols, and improve the typography as well. Project done while working with SomeOne (London). Project team: Gary Holt, Creative Director; Simon Manchipp, Creative Director; Iancu Barbarasa — Senior Designer. You can read the SomeOne case study here. Brand New reviewed the identity after its launch, you can read the article here.